Recently, the popularity of Christian Rap has been on a rise. A large part of the reason for the interest in a more inspirational brand of rap; Reach Records. Headed by Grammy award winning rapper, Lecrae, Reach Records has been able to 'reach' a wide audience and take the Gospel across barriers that it has never been before. With the release of Lecrae's new mixtape, Church Clothes 2 and the recent Unashamed Tour V, Reach Records is showing no signs of slowing down soon. Another artists responsible for Reach Records soldiering forward into 2014 is the "Mayor of Minorville", Derek Minor. Fresh off the heels of his most recent album, Minorville, a few stellar features (including a verse on the aforementioned Church Clothes 2), Derek Minor has been hard at work as apart of the Unashamed Tour V.
As the tour made a recent stop in Dallas, The Urban Advocate got the opportunity to catch up with Derek Minor. In this two part interview, Mr. Minor opens up about everything from his music, what it's like being on the Unashamed Tour V and why he believes Christian Rap has been able to reach such a wide audience. Check out Part 1 and 2 of The Urban Advocate exclusive conversation with the one and only, Derek Minor! 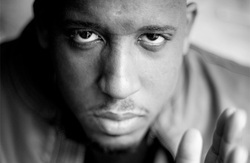 For more information on Derek Minor, please visit derekminor.com.